Industrial Activity. This has probably been the biggest contributor in the last century, especially from mining and manufacturing, as the by-products are often contaminated, and not disposed of properly. Agricultural Activity. Modern pesticides and fertilizers are full of chemicals that are not produced in nature, and therefore nature is often unable to break them down. 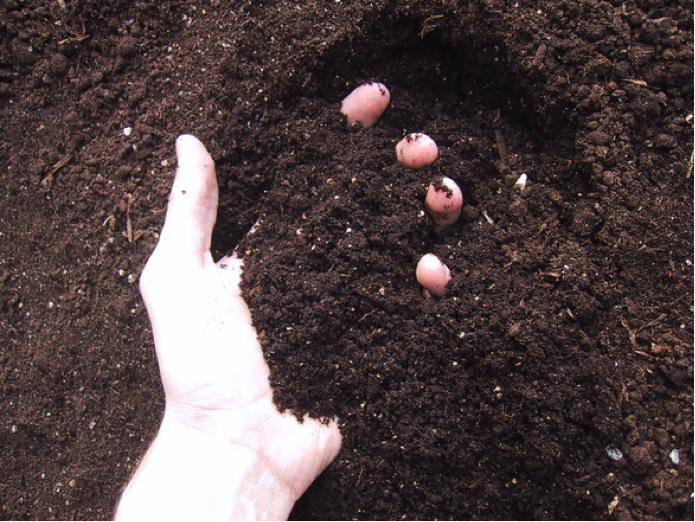 As a result they seep into the ground after they mix with water and reduce the fertility of the soil. Plants also absorb these pesticides and when they decompose, they cause added soil pollution. Waste Disposal. From diapers being disposed of, to the way our sewage system handles waste, we often see it dumped directly in landfills, which then pollute the soil and water. Because our bodies are full of toxins and chemicals the waste we produce, when seeping into the land causes soil pollution. Accidental Oil Spills. We’ve all heard about different spills, which can happen whenever you store or transport chemicals like oil. Think about the oil at fuel stations spilling, and then think about larger crude oil spills. When this happens it makes soil unsuitable for cultivation, and often chemicals from the spill ender into the groundwater, and pollute not just the soil, but drinking water as well. Acid Rain. As if 1-4 aren’t bad enough, when their are pollutants in the air, and it starts to rain, they mix and fall back to the ground, causing acid rain. This pollution can then dissolve important nutrients, changing the structure of the soil. As you see there are a variety of ways that soil pollution can occur, but the good news is there is one “simple” way to stop it. If we better regulate Industrial and Agricultural activity, we can fix air pollution and waste disposal. And, if we can focus our energies on other energy rather than oil, we can limit future oil spills. Until then, we will work hard to clean up the toxic soils that are found, and make our Earth a healthier place to live. Effect on Plant Growth: If the chemistry of the soil changes a lot in a short period of time most plant will be unable to adapt to the changes, and can contribute to soil erosion as well as soil fertility. Decreased soil fertility means fruits and vegetables that grow in it lack necessary nutrients, and absorb toxins passing them on to anyone consuming them. Effect on Human Health: Soil is the reason we can sustain ourselves. Crops grown on polluted soil absorb the pollution, and pass it on to us. Long term our genetic make-up can be affected and contribute to chronic health problems. Emissions from areas with polluted soil are also a large concern and cause of serious health effects. Effect on Animal Health: Just like humans, animals are sustained by soil, and the pollution absorbed by their foods can be passed onto them, causing the same effects as humans – long term health problems, not easily solved. It is important that when contaminated soil is found, it is removed and remediated properly in a facility like Westside Environmental. It is also important that we regulate industries to ensure that they don’t dump toxic waste inappropriately, and take care of our environment. Organic farming, and reducing the use of pesticides and fertilizers is also important to make sure that we keep our environment clean and healthy for future generations. We would like to think that our Environment is safe for us to live in. That the air is safe to breathe, water to drink, food to eat, etc. Unfortunately, sometimes there are toxins that are found in the ground that need to be remediated. Have you ever heard of the National Priorities List (NPL)? It is the list of national priorities known to release or threaten the release of hazardous substances, pollutants or contaminants located in the US. The list is intended to help guide the EPA in determining which sites to further investigate. And, guess what state has the more sites on the list than any other? New Jersey. There are a couple in Bergen & Passaic that we thought we’d point out, you can read a more detailed article about these sites here if you’d like to learn more. The sites are in various stages of clean-up. Some the soil has been remediated but groundwater cleanup is ongoing, some the soil remediation is still happening, and some, nothing has happened yet. The good news is that our facility is located in a convenient location to make us a great option for helping to clean up these local sites and restore these sites back to healthy levels, making our neighborhoods safer, and better. Our negative air system safely processes incoming material – making clean-up that much easier for you. Today marks the first day of Spring, and it’s time to start thinking about all those construction projects if you haven’t already. Are you ready for your drainage project? 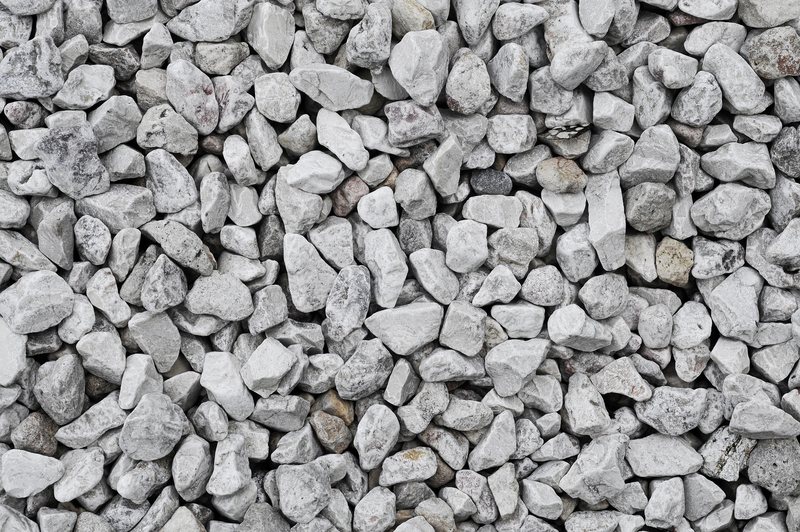 Whether you’re installing a french drain, septic drain field, retaining wall drain or road side drain, we have the perfect aggregate material for you to use. Or, are you pouring a foundation? Building a road? Paving a driveway? Repairing railroad tracks? We have the right aggregate for you too. We offer 7 different types of aggregate, to ensure you find the right base for your job. And, you can pick it up, or we can deliver it to you. Give us a call today at 201-472-1031 to place your order.